Take this unique opportunity to recognize a leader or organization doing outstanding community health work. These membership nominated awards are presented each year at our Annual Conference. Healthcare Transformation – A membership nominated award where CJA recognizes a replicable and transferable idea, tool, project, or learning that has value in community safety net care. The awardee would be invited to share their idea, tool, project or learning with the national membership on a webinar, or to include related documents as a resource for the CJA Library. The outcome / utility of this award will be to hardwire into CJA’s culture the dissemination of good ideas among the national community and to feature a “best in class” idea per year. This award may be given to an individual, an agency or a coalition. Board Chair Judith Warren presents the Healthcare Transformation award to representatives of the Travis County Healthcare District dba Central Health. Grassroots/Political Engagement – A membership nominated award where CJA recognizes a leader with specific skills in organizing grassroots participation and/or utilizing the political process to advance access work. As part of this award, the leader would be invited to feature their learnings on a webinar, with the goal of encouraging deeper community-level perspective and/or more effective political savvy among the CJA membership. The outcome / utility of this award will be to hardwire into CJA’s culture a value for community-level organizing and political savvy, and to feature a “best in class” discussion per year. This award may be given to an individual, an agency or a coalition. Emerging Leader in Healthcare Transformation – A membership nominated award where CJA members can nominate career healthcare transformers, less than or equal to 5 years in the field, up to the age of 35 years old, with a life-goal commitment to effective healthcare delivery. This award is to be given to low- and mid-level staff members within CJA agencies, nominated by their agency directors, to encourage their further investment into community organizing, healthcare transformation, data collection, or other critical areas of this work. The outcome / utility of the award will be to recognize talent and retain that talent in this industry. Marilyn Hughes Gaston Health Equity – A membership nominated award where CJA members can recognize a leader who has had broad and substantive influence on theory, policy and or practice addressing health disparities and improving health outcomes. The awardee would be invited to share their learning with the national membership on a webinar with a goal of deepening community level influence. 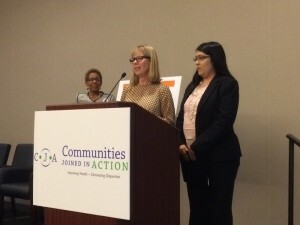 The outcome/utility of this award will be to hardwire into CJA’s culture the power of community level impact and dedication to social justice through the use of data, cultural competency, governance and leadership. 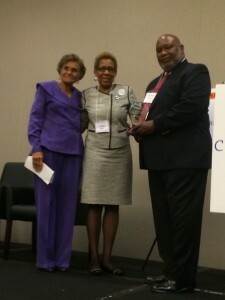 Board Chair Judith Warren and Marilyn Hughes Gaston present Dr. Arthur James with the Marilyn Hughes Gaston Health Equity award. Mary Lou Andersen Lifetime Achievement in Healthcare Transformation – A board nominated award. 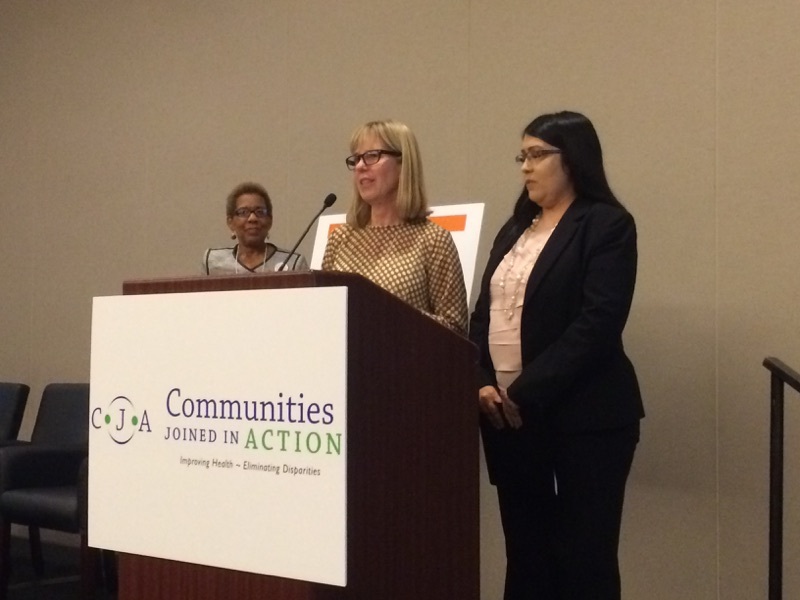 Individuals are recognized for their investment in the national community. This award may not be given every year, but given when national impact is recognized. Congressional Community Health Hero Award – In recognition of outstanding leadership, advocacy, and commitment to improving the lives of the people within your state. 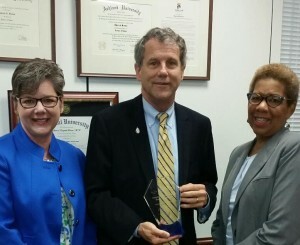 CJA Board Chair Judith Warren and Jan Ruma present The Honorable Sherrod Brown with the Congressional Community Health Hero Award.